The bad weather and temptation to pick up that book or TV remote, sit on the couch and stop working out is hard to resist. But be strong! The hard-earned fitness gains made during the spring and summer months can be lost in an instant by taking the winter off. Riding indoors is the ideal way to keep your legs, lungs and heart in shape when it is too cold, wet or dark to venture outdoors. 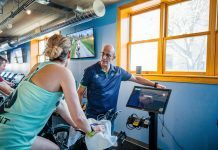 Keep in mind that even during peak cycling season, there are times when an indoor trainer can come in handy, so you’ll use it more than just in the off season. Intervals are individual timed efforts followed by rest. 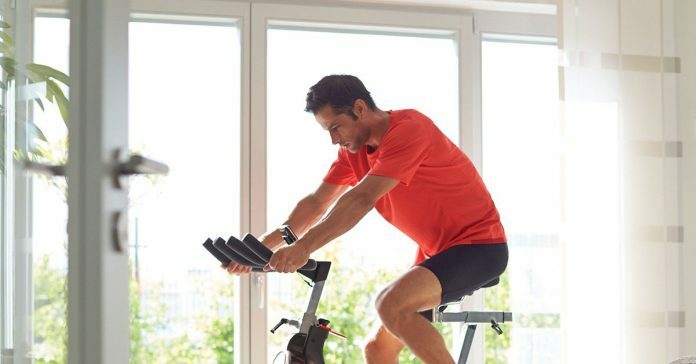 Doing intervals while riding on the trainer not only helps pass the time, but can also lead to huge improvements in your overall fitness, endurance and speed. Unlike when you’re riding in a race, you won’t be shifting your position much, if at all. This can be tough on your backside. Make sure you invest in a really good pair of padded cycling shorts and stand every five to 10 minutes to give yourself a break. I hope these tips are helpful. If you have any questions, I’m here to help!Contact metoday to learn how I can help you with your training needs!